In the judgment today in Howard v The Imperial London Hotels Ltd  EWHC 202 (QB) Master Thornett had to consider whether periodical payments were suitable for someone with a very short life expectancy. The judgment is a careful and sensitive one and highlights the advantages of the Asbestos List. Some of the observations on the conduct of litigation are of general significance. The claimant had developed malignant mesothelioma. He has a life expectancy of 3 – 6 months. All items of damages were agreed except for the continuing costs of immunotherapy. On balance, I have to express my concern about the way the claim for a PPO has been introduced at such a late stage in this case. It is both unfortunate and unhelpful that at least from the time of the Claimant first receiving immunotherapy in late July 2018 the Claimant, through his solicitors, did not make clear he was now pursuing a PPO claim. Had he done, I am in no doubt it would have deepened the scope and content of the joint oncological evidence. The intended pursuit of a PPO should at the very latest have been confirmed by late November 2018 as part of the Claimant’s Schedule pursuant to the June 2018 Order. The wording as instead pleaded effectively perpetuates the lump sum claimed in the earlier schedule, adding only the possibility of an alternative but non-PPO negotiated mechanism. I therefore do not accept Mr Roussak’s point that the PPO claim is implicit or at least falls within a range of predictable options, such that the Defendant’s objections are contrived. The practice of late notice if not ambush should be deprecated in all forms of civil litigation. It is not a strong point for a party confirming their position at a late stage to argue that the opposing party should have anticipated this. There is a world of difference between awareness of a range of options and confirmation of an elected position in circumstances where to do so can only assist both parties and lead to a fairer and more informed resolution. These general observations become more acute given the intended immediacy of access to the court in the specialist Asbestos List as I elaborate upon below. Clarity and transparency remain essential factors in all litigation but it seems to me the comparative informality and immediacy of the specialist Asbestos List practice provides even less excuse for conduct to the contrary. Indeed, I am bound to say that I regard the expectations upon parties to provide as full and as early notice as possible of any changes in the way a case is developing (for either side) as even greater where this can be communicated to both opponents and the court in fairly informal terms. In short, it would only have taken a few e-mails for the position to be very different. The Master considered the defendant’s arguments that a periodical payments order would give all power and discretion to the claimant. Whether one analyses specifically the draft Order or considers the Claimant’s claim in the round, there features an unreasonable proposition that the Defendant should continue to pay a fixed quarterly sum of £22,500 whether or not the Claimant continues to receive the treatment in its current form. Whilst the Claimant proposes to incorporate a provision to apply to vary, there is no obligation upon him actually pursue such an application, leaving open the possibility of the Claimant utilising the monies received for such course or description of immunotherapy as he and his treating oncologist might choose. There would be no provision for the Defendant to question or challenge any change in his current treatment regime. Effectively, all discretion in respect of the application of received funds lie with the Claimant and such treating oncologist as the Claimant choses from time to time. The proposed provision as to repayment only applies if no immunotherapy charges arise at all. The Defendant is powerless to challenge anything falling short of payment where there is no immunotherapy treatment at all. This uncertainty is further endorsed by the lack of any indication what duties the Trustees would have. There would exist no provision for any relationship or mediation between them and the Defendant. All that is currently before the court is a proposal that “a trust” be set up. Thereafter, on the face of what has been presented at trial by the Claimant, the Trustees could pay whatever, whenever to whomever so long as it fell within the scope of immunotherapy as recommended an oncologist treating the Claimant. The Master rejected the claimant’s application for a periodical payments order, preferring the defendant’s approach. I am satisfied that drawing upon interim payments to fund immunotherapy in the circumstances of a case such as this, where the Claimant’s life expectancy is very limited, is by far the more flexible and appropriate tool than a PPO. My reasons focus not only upon practical advantages and disadvantages featured in respectively the two mechanisms but also factors in the considerable procedural flexibility and (I believe) efficiency afforded to parties bringing and defending claims in the Asbestos List and as would immediately apply to any interim payment application. This second observation substantially informs and eclipses any process of comparing and contrasting the two mechanisms. In respect of the work of Asbestos List at Central Office in the Queen’s Bench Division, I can do no better than paraphrase relevant parts from the helpful summary provided by Master McCloud in the opening paragraphs of Yates (personal representative of the estate of Gladys May Dalton, deceased) v (1) Revenue & Customs Commissioners (2) Association of Personal Injury Lawyers  EWHC 2311 (QB). The underlying approach to asbestos claims places the doing of justice, at speed and with improved efficiency, at the forefront; formalities of procedure take second place if they interfere with that. Many claims are urgent and sometimes very much so. Most urgent are ‘living mesothelioma’ claimants where the essence of justice (for both sides) is avoidance of delay in the gathering of evidence during the life of the claimant, and if possible the resolution of the claim before the Claimant passes away. One of the first considerations when considering the timetabling a claim is ‘how long does the claimant have to live?’ which is a salutary yardstick for any judge and gives a human context to the notion of ‘proportionate case management’. Technology and extensive direct access is provided to the specialist masters using email, an open-door policy, and a ‘no nonsense’ approach. Hearings are generally as informal as the circumstances permit (without of course departing from the law). Almost all hearings are by telephone. Parties are not discouraged from ‘mentioning’ claims or asking for a short hearing or a decision by email on matters arising, and it is seldom that party is penalised for bringing a matter back for our attention in good faith. Where an urgent application is made it is expected to be by way of email either directly to one of the specialist Masters or channelled through the QB staff, and without the formality of drafting and issuing a Part 23 form. All that is required is that the evidential and legal requirements for an application are met, rather than the strict form of a Part 23 application notice. I would add to this summary that the intended facility of access to the Specialist Masters has been further enhanced since the date of this judgment now every QB Master has a designated clerk to represent his or her first point of contact. Set against this possibly unique background in terms of civil practice in this jurisdiction, there can be no basis for suggesting that applications for interim payments in urgent living mesothelioma cases run the risk of extended delay before even receiving a hearing date and they will entail the expense of the formalities of procedure. In short, truly urgent interim applications in the Asbestos List ought materially to differ from the inevitable challenges in other applications before civil courts, where judicial and administrative time and resources are under pressure and enjoy no internal protocol for prioritisation. Indeed, I am satisfied that this procedure surpasses by a very wide margin the mechanisms for review, variation and return to court permissible in a PPO of a type contemplated in the 1996 Act and even with the benefit of the additional provisions of the 2005 Order. I anticipate it is probably for reasons at least close to this observation that few expressly pleaded PPO applications proceed in asbestos claims through to trial. Instead, parties seek to negotiate their own bespoke compromise agreements. (ii) Seeking to compare and contrast more generally the choice of a PPO on a consensual or negotiated basis with the variety of other agreements and methodologies currently adopted in this specialist area. As to the latter, I do not think it appropriate to offer any comment or to express preference to the alternatives to PPO’s. The relevant considerations before me are between a non-negotiated PPO or the interim payment route. In conceding that the PPO as drafted is amenable to amendment and perhaps wider than it could be, it seems to me the Claimant illustrates the underlying difficulty of trying achieve both certainty and flexibility by way of a PPO in circumstances where the nature and duration of treatment is liable to change at short notice and any alternatives come from an ever growing and developing field of choice. I conclude these are illustrations of the problem with a PPO in principle rather than merely opportunities for alternative drafting. A submission introduced by Mr Roussak developed in closing submissions rather based upon any evidence from the Claimant is that a PPO would enable the Claimant to avoid the anxiety and distaste of continuing to deal with the tortfeasor. Instead, he need only deal with his Trustees. It was therefore unfair to expect him to do otherwise. Such desire fairly fell within the consideration of “all the circumstances of the case” and “the form of award which best meets the claimant’s needs under rule 41.7, as well as “the reasons for the claimant’s preference” under PD 41.7.1(2)(a). I regret to observe that the conviction of this submission is somewhat undermined by the lack of any direct evidence from the Claimant in support. Whether this reflects an apparently late decision to commit himself to pursuing a PPO would be entire speculation. Either way, however, the Claimant’s third and last witness statement is signed 1st July 2018 i.e. before the commencement of immunotherapy. In the last paragraph (Para 15), the Claimant instead anticipates his next follow-up appointment with his oncologist and remarks how he hoped his condition would be stable “but if not then I would consider further treatment. I am aware there are private treatment options available and this is something which I would be interested in exploring further. If possible, I would rather this route than entering into a trial in which I could be offered a placebo”. Sympathetic though I am to the Claimant’s position, this commentary falls well short of establishing his preference for a PPO. The reasons why such evidence has not been adduced are unclear. My Order sealed on 25 June 2018 provided that witness evidence be exchanged by 31 August 2018. The Claimant commenced his immunotherapy treatment on 21 July 2018 and therefore the implications of that treatment, both personally and financially, could urgently have been added to his statement even if by then already signed. Alternatively, a request to rely upon a short supplemental statement to reflect recently commenced treatment ought not have been controversial. Discussion directly from a claimant about preference is surely desirable. In particular, in this case one would have expected the Claimant to explain the difference between continuing contact with his solicitors and professional trustees working within a department at his solicitors firm. I am not persuaded that PPO’s through the medium of a trust is a proportionate and cost-effective method for anyone with such a very limited life expectancy as has, sadly, the Claimant. No formal figures for the costs of a trust were put in evidence, a consequence I can only again assume to be the late introduction of the claim. Nonetheless, Mr Roussak told me his instructing solicitor’s estimate of what their internal trust department would charge would be approximately £3,000 for set up costs, £100 per month for ongoing management and approximately £1,000 to wind up the trust. Thus, if the duration of the trust reflects a maximum life expectancy of 1 year, an overall likely cost of £5,000. Mr Roussak conceded in reply to Mr Vandyck that if the approximation of such expenses was a real concern to the Defendant, then the Claimant might be willing both to define and restrict such costs to these figures. Even if the maximum cost of the trust is limited to £5,000, I do not accept that the costs of funding by way of interim payment applications will obviously be at least the same if not more expensive, and hence the PPO trust route remains cost effective. I accept that the likely costs that might be awarded against an unsuccessful defendant who had opposed an interim payment application and as necessitated extended evidential exchanges between the parties leading to an attended hearing may well be at or indeed comfortably exceed £5,000. However, that comparison is not immediately appropriate in these circumstances where there is a broad measure of agreement as to funding in principle. I reiterate the Defendant has made its position clear and on open basis as to the Claimant’s entitlement to continue to receive funding for his current therapy. I cannot currently envisage why any significant legal costs will be incurred by way of dispute for as long as that programme continues in its current cycles. Indeed, putting to one side whether the Defendant has already either given or come very close to offering an undertaking to indemnify the current regime if it progresses without variation, in the event of the Defendant were somewhat illogically to change its position or (a point of observation by the Claimant) prove tardy in response to requests for further funds at a time when the Claimant was running out money, then the Claimant can easily put on an urgent and relatively straightforward application. I would not associate that type of application with the sophistry of some contended interim applications. Moreover, any unreasonable deviation from the Defendant’s current position would more likely than not result in the Defendant paying the costs anyway. Thus, the comparison is more between a scheme that obliges the Defendant to pay about £5,000 in any event and comparatively more modest costs assuming that the current regime can continue to be funded by agreement. I accept the interim payment method presents at least a residual risk of a costs exposure to the Claimant in the event he pursues a contended interim payment application but fails to satisfy the court it was appropriate but I counterbalance that risk with the disadvantages and expense a PPO with an added trust facility would unavoidably present. Either way, Mr Roussak’s submission that the interim payment route would involve an “enormous amount of work and cost” owing to the need for repeated evidence overstates the position. Not least because any variation in that would always have to be introduced and justified by the Claimant’s solicitors even if part of a variation application in a PPO. The distinction between that explanation and one that would be provided as part of an interim payment application is not immediately apparent. In both cases, the Claimant’s solicitors would have to provide evidence of the change in clinical recommendation and its consequential difference in costs (if any). In terms of difference of procedure or method in the event of changed or proposed changed treatment, I am satisfied that interim payment applications are preferable. They avoid the preliminary requirement in a PPO of establishing that the revised treatment approach falls within the definition and scope of the relevant variation provisions of the PPO. To the contrary, the Claimant can instead contemplate a variety of recommendations reflecting changed clinical circumstances without the worry of any preliminary challenge as to interpretation. I am not satisfied any significant disadvantage can be associated with the interim payment route because, as distinct from the Claimant’s proposed PPO, it would not carry an express obligation for repayment. The obvious point here is that it is entirely open to the Claimant easily to avoid this perceived disadvantage by offering repayment in exchange for the Defendant agreeing to put the Claimant more comfortably in funds for his continuing treatment. Indeed, the very repayment paragraphs urged by the Claimant as part of his proposed PPO Order could be incorporated into a Consent Order settling an appropriate interim payment. The Defendant would have an obvious incentive to agree but so would the Claimant to offer it. Whilst under no obligation to do so, the Claimant would otherwise run the risk of any sum assessed by the court being more conservative so as to avoid the risks of overpayment. I am satisfied these observations answer the Claimant’s submissions that interim payments inevitably fail to balance the problems of either underpayment or payment as exceeds the likely award at trial. 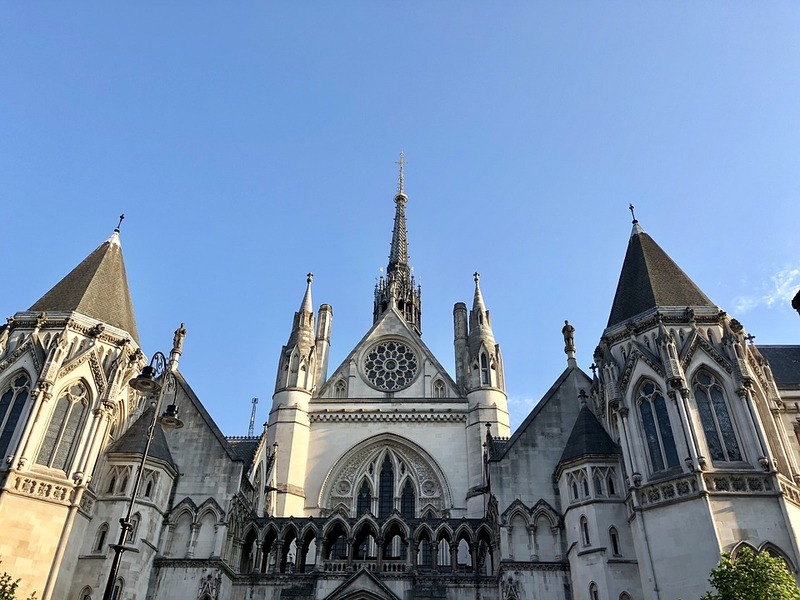 Although very much in the alternative, the Claimant concedes that if the court was not inclined to award a PPO, then this head of claim should be adjourned with perhaps a direction for review or formal application in a few months’ time. I do so adjourn the claim for future costs of immunotherapy. I will not make any specific direction about further listing, however, because it seems to me that following this decision the parties ought to be capable of agreeing a programme of funding without the need (at least immediately) for further court listing, at least in terms of specific directions. On a separate note, however, if either party wishes to raise issues of costs arising from this decision, I suggest they briefly indicate to each other their positions and then notify me of the same. I will then consider what hearing is appropriate.